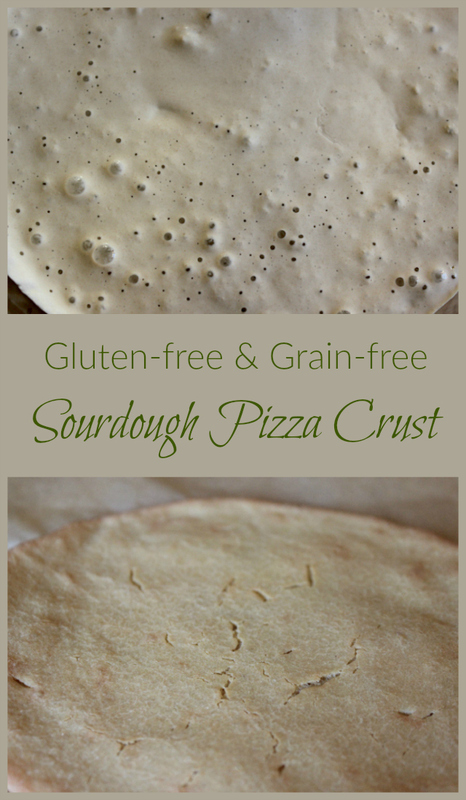 This gluten-free and grain-free sourdough pizza crust is sure to be a family favorite! 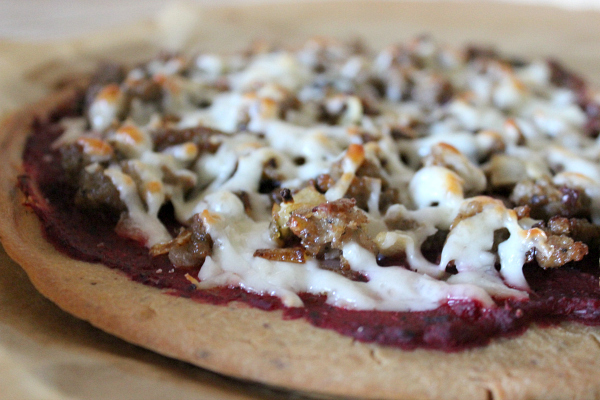 Quinoa flour is fermented with kombucha (or other fermented liquid) and transformed into a delicious flatbread or pizza crust! 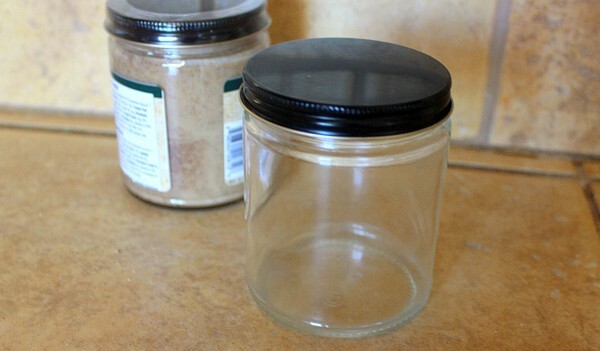 Cover with tight-fitting lid and place on a shelf away from direct sunlight. Repeat with smaller quantities and continue to add twice daily until mixture reaches the desired volume and is bubbly. If the mixture gets too thick, add a bit of water to make it thinner. It will make a better crust. 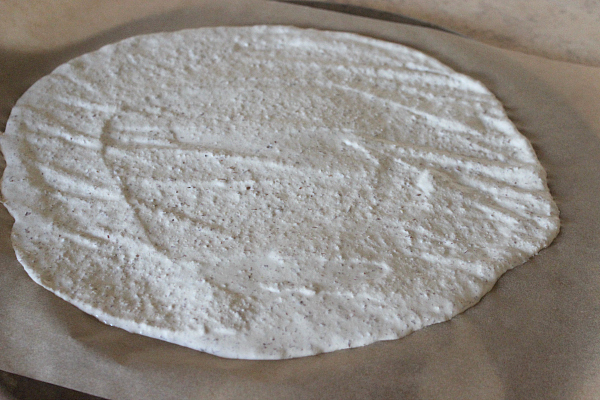 You can easily make this a flatbread. 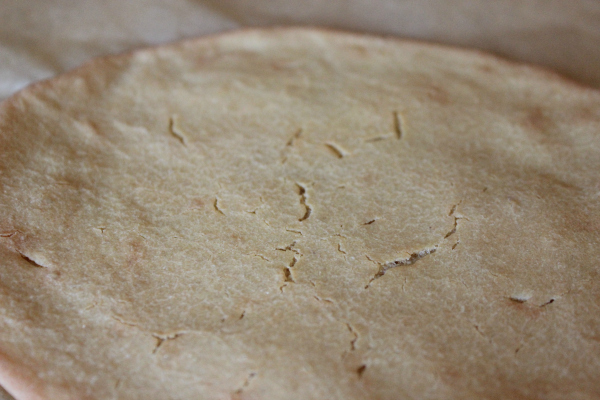 The baking time will be a bit longer, but it’s versatile and delicious! Cook for approximately 15 minutes. 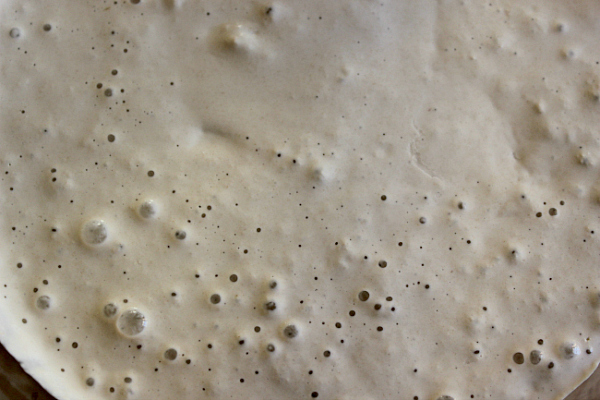 The time will vary depending on the thickness of the dough. Place in oven for 5 more minutes until done. When mixture is ready to bake, preheat oven to 400 degrees. I’m struggling to find things for my hubby who doesn’t see the need for grain or dairy free in spite of years of mold exposure. We add Applegate Pepperoni, raw milk cheese, or make it totally veggie. If the seasonings are right the family likes about anything. It’s hard to convince anyone to go grain-free. I like the book Grain Brain. If he’d be open to reading it I think he would learn a great deal. I love this recipe! I would love to try it soon. Thanks for sharing this with us at Savoring Saturdays linky party! Can you make this using cassava flour or tigernut flour? I have not tried either, but I definitely think the cassava would work. Not sure about tigernut flour.